There are certain folk who I have no question would be outstanding legislators, yet cannot muster the financial resources enough to pay for 30 seconds of air time. They have a great message that resonates with constitutional types. Those folks have a clear understanding of this ‘Republic’ we are a part of. One of them is THIS guy whom I personally believe is as solid a conservative as they come. Then there are OTHERS who certainly have the resources, but no history, and frankly seem to have no message other than “I am a conservative” (and play an accordion, shoot crossbows, etc.) Yeah, One particular guy has CASH, and piles of it to work with. And anyone who thinks money can’t fake out Republicans in primary elections has never heard of Rick Snyder. 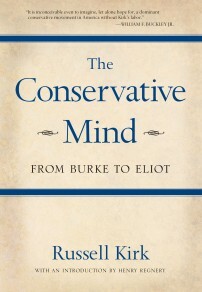 My late husband, Russell Kirk, wrote The Conservative Mind to help our movement and our country define a principled understanding of conservatism and better understand the writings of Edmund Burke. We all miss him very much, but his legacy and influence continue to grow and thrive in America today. The civil war that has waged between the Establishment and Tea Party camps of our Republican Party gets a significant amount of attention, but conservatives of all types should consider the basis of candidates’ decision-making process above their rhetoric. Do they make their decisions based on sound conservative thought, or do they make their decisions based on short-term political pressures and opportunism? There is one leader in Michigan who has consistently stood up and made decisions based on conservative principles: John Moolenaar. When John Moolenaar stood up and opposed Obamacare’s Medicaid Expansion, it was because his fundamental principles were opposed to the expansion of government and the long-term costs to our state. When John Moolenaar stood up and opposed Common Core on the Senate Floor, it was because his fundamental principles were against the federal government’s increased role in our educational system. John Moolenaar had to oppose leaders of his own party on these critical issues, but he was willing to do so because it was consistent with his conservative principles. Conservatives may decide to support John Moolenaar because he was the only candidate endorsed by Right to Life of Michigan, the Farm Bureau, or conservative Attorney General Bill Schuette. I would offer that another important reason to support John Moolenaar for United States Congress is because he has demonstrated that his decision making is grounded in conservative principles. I strongly urge you to join me in supporting John Moolenaar for Congress. We know we are getting a leader with a proven conservative mind. We have a great deal of respect for Russell Kirk, and we thank his wife Annette for providing us with her thoughtful comments and opinion. Tonight there is a debate for three candidates, each of whom feels they are best suited to be Dave Camp’s replacement in the Fourth Congressional District. I would hope that it becomes even more clear who has both principle, AND the ability to be victorious in the August primary, as well as the ability to hold to TRUE Republican convention in his service as congressman. Perhaps some attendees can bring us news.